Jacinto Talducci was among the many interesting characters who worked in Florence at the alchemical laboratory of Medici Prince Don Antonio. Today, the Casino di San Marco still stands, serving as an appellate courthouse, next door to the San Marco church complex in the north end of the city. In the first decades of the seventeenth century it was the personal residence of Don Antonio de' Medici, and housed the alchemical laboratories that came to be known as the "Real Fonderia" (Royal Foundry). Here, behind unassuming walls, was where medicines, elixirs and various chemical reagents were manufactured at the turn of the seventeenth century. Visiting dignitaries were often given as gift packages containing curatives for various ailments. 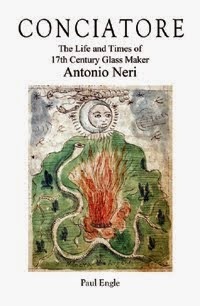 This was also where Antonio Neri first made glass for the ruling family. As children, according to historian Giovanni Targioni-Tozzetti, Jacinto Talducci and his older brother Ottavio "learned alchemy at the knee of Don Antonio." Ottavio's Florentine birth record shows he was born in 1596 and although a record for Jacinto has not been found, indications are that he was born in 1601. The boys' father Filippo Talducci della Casa bought a house just south of the city walls in 1598 where they may have been raised. Other family members were also working at the Casino in this period. Don Antonio's biographer Covoni lists Giovanni Talducci as a "fenditore" at the facility. An alchemist named Alessandro Talducci della Casa wrote a tract around the turn of the century and in it he passed on the coveted yet dangerous recipe for "the duke's oil," a pure distillation of nicotine. Antonio Neri's own disciple, who documented thousands of pages of Neri's experiments, was Agnolo della Casa from the same family. In all consideration, it is my proud duty to dedicate this book to none other than you, most Illustrious Excellency; for you have always been my outstanding patron. You are a gifted leader in this and in all other noble and worthy developments made continually in all the arts. This is the essence of a true and generous Prince. Don Antonio was not quieted and he questioned all of Neri’s friends to see if he could find the information, but his efforts were in vain, as they should be in so groundless a science, although Giacinto Salducci said that he had seen great things, specifically a powder that fixed mercury into gold. Targioni-Tozzetti chronicled that after Don Antonio's death in 1621, these boys would go on to serve Ferdinando II de' Medici (grand duke from 1621 to 1670). The Casino laboratories of the Royal Foundry were moved to the Boboli Gardens. Ottavio would become its new director, while Jacinto became the parish priest of San Pietro Church, a few kilometers east of Florence in Sorgane near Bagno a Ripoli. When Ottavio died, the grand duke called Jacinto back into service as the new director of the Royal Foundry under Francesco Redi. 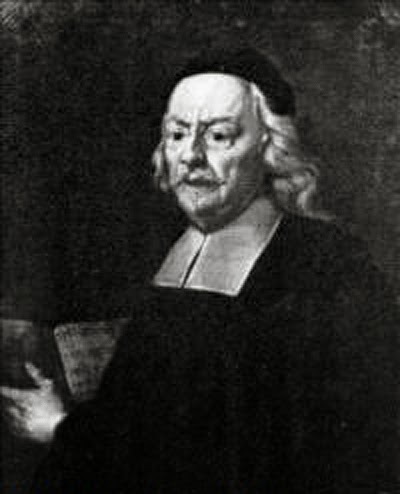 Jacinto Talducci died in 1700, at the age of 99 (Targioni-Tozzetti, quoting Francesco Bonazzini). He was the last surviving member of Don Antonio’s band, spanning a full century in alchemy.